There have been several hints that Valve is working on its own hardware over the last few months. There’s the Steam’s TV-centric Big Picture mode, which recently came out of beta, work on a Linux port that could power "open hardware platforms" and flip-flopping references to a console-like gaming box. But now Gabe Newell is making no secret about the fact that the company will start selling PCs for the living room next year. How far along they are on the project is unclear. Valve's CEO and co-founder offered no specific details on the hardware but said it would be a “very controlled environment” in order to provide a consistent user experience. “If you want more flexibility, you can always buy a more general purpose PC. For people who want a more turnkey solution, that’s what some people are really gonna want for their living room,” he said. Newell also said that Valve probably won't be the only vendor. Other companies should start selling PC packages for living rooms next year, designed to run Steam right out of the box and compete with current and next-generation consoles from Microsoft, Nintendo and Sony. I think in general that most customers and most developers are gonna find that [the PC is] a better environment for them, because they won't have to split the world into thinking about 'why are my friends in the living room, why are my video sources in the living room different from everyone else?' So in a sense we hopefully are gonna unify those environments. 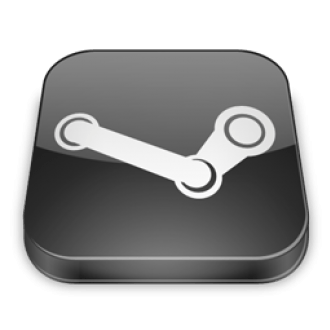 Earlier this year it was rumored that Valve was working on a PC gaming console dubbed the Steam Box. The system was expected to ship with a proprietary controller with swappable components in addition to being compatible with a range of existing USB peripherals and even with rival gaming services. Under the hood it was believed to include an Intel Core i7 processor, 8GB of system RAM and an Nvidia GPU.